Steven says Austrew, “keeps me alive and helps my depression.” Austrew is a senior but has been with Steven since he was a puppy. We want to thank you for the ways in which you have supported Street Outreach Services (SOS) and Veterinary Street Outreach Services (Vet SOS) this year. Your contributions and engagement have meant we were able to distribute 3000+ hygiene kits, 4000+ pairs of socks, and give care to over 1000 homeless San Franciscans over the last year. 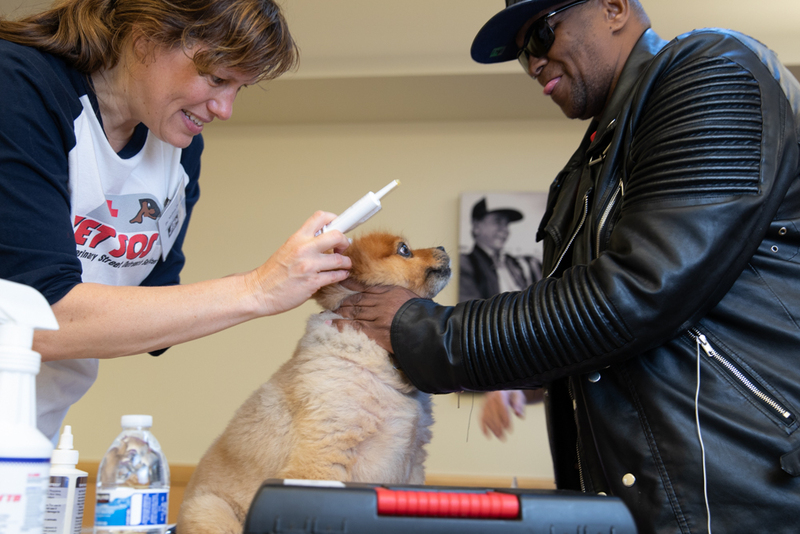 Furthermore, we have been able to make a difference in the lives of homeless San Franciscans’ companion animals by giving over 600 vaccinations, 550+supplies, 500+ flea medications, and 50+ microchips. But we're not done yet. As part of our end year push, we're asking you to support us so we can help more homeless individuals and their companion animals in 2019! Please consider a gift to SOS and Vet SOS. Every donation makes a difference!